The earth is in a big growth period at the moment and the energy is very stirred up. You may be finding it difficult, if not near impossible, to ground, center and feel safe. The earthquakes going on around the world in recent days are indicators of a shift and release of energy. Each of us has a connection with the earth from our first chakra. Located at the base of the spine, this energy center helps us feel safe among other things. 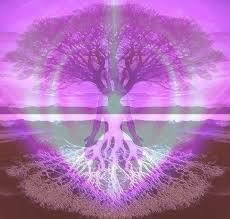 The earth has changed and therefore our grounding must shift and change to make our first chakra and body feel safe. If you’ve felt a bit panicky or out of whack you may be feeling the effects of your connection with the earth if you haven’t checked in with yourself in a while. Also, when the internal energy of the earth is stirred up you might be bringing in too much earth energy for your body to handle. It is time to re-establish our connection with the earth and turn down how much earth energy we bring in so we are in alignment and present time with the earth. The Vernal Equinox is quickly approaching and it’s important to embrace and welcome our internal growth in addition to watching the earth Spring to life after a long cold winter. Take a deep breath and bring your attention to rest behind your eyes in the center of your head. Imagine you are sitting there in the middle of a golden light. From that place notice the base of your spine where your first chakra is located. Send a simple hello from the center of your head to the base of your spine. Breathe into the warmth of the golden light as you do this. Now from an effortless place, create a connection or line of energy from the base of your spine to the center of the earth. You may want to use an image of a tree rooted deeply into the ground. Now imagine yourself connecting with the calm, nurturing center of the planet. Feel Mother Earth’s warm embrace. Allow Mother Earth to comfort you with that connection. Breathe deeply and slowly release any stress or anxiety you’re holding on to. Continue to acknowledge your new connection with the earth as you breathe and release. Notice if you’re feeling different with this new connection. If you’re feeling uncomfortable at any point, just breathe into it and allow whatever it is to be released. Just breathe and release. Although you have established a connection with the earth to feel safe and release, you are bringing in earth energy through your feet. If you feel “buzzy” or overwhelmed it’s a good time to notice your feet connected to the ground. Set your intent to only bring in as much earth energy as you need. You may need more, you may need less so just set an overall intent to bring in as much as you need and once again notice how you’re feeling. Now that you’ve re-established your connection with the earth, released and set your intent to bring in only as much earth energy as you need, it’s time to fill up! Imagine a beautiful, joyful golden sun above your head. Bring that golden sun right in through the top of your head with the intent of filling up anywhere you released energy. You can create and bring in as many golden suns as you need or want. Fill up until you’re overflowing and bathed in golden light. Just as you are growing and changing so too is the earth. There will be more earthquakes and weather patterns will continue to change. We are entering into an era where powerful shifts will be coming more often and if you know how to ground and re-new your connection you will be infinitely more comfortable. Previous Post Happy St. Patrick’s Day from SpiritLightInsight!